In the 1970s, launched aboard a space probe was what is considered one of the most important scientific diagrams ever created. If found by extraterrestrial life, the plaque explains details about the human race and where we are in the Universe. Why was it written in binary? In 1972, the human race sent a capsule deep into space. Its mission: to communicate with extraterrestrial life. 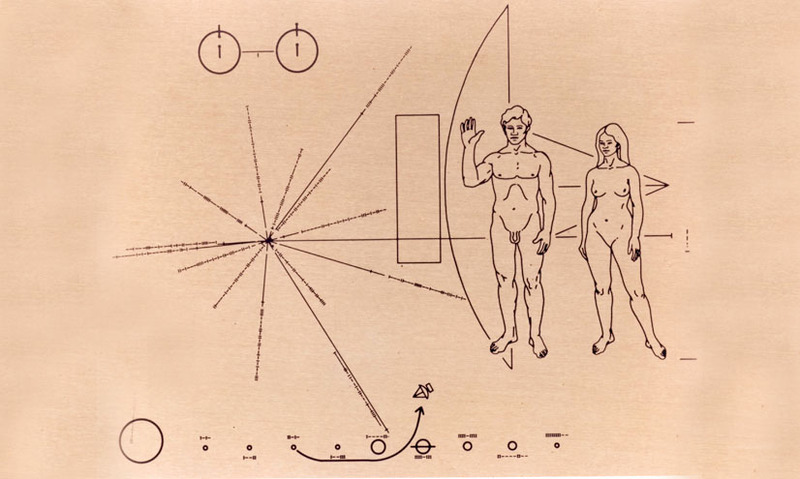 Stamped onto the side of the capsule is a small, embossed plate of gold - the pioneer plaque. Dr Frank Drake, SETI Institute - "Well we thought the most interesting thing to the extraterrestrials would be: what are we like? So we wanted figures of a man and a woman and then some information about what planet or place this plaque came from and how long ago because it may be millions of years till the plaque is intercepted by someone." But there is more to the plaque than meets the eye. A series of ones and dashes are used to explain our position in the galaxy. They represent the most universal language: binary. Binary is a number system that uses just two digits, 1 and 0, to represent large values. The longer the chain - the larger the value. These symbols at the bottom of the plaque depict the planets in our solar system, accompanied by the distance they are from the Sun in binary code. For the purposes of simplicity, the binary figure inserted for the closest planet, Mercury, is 10. The binary figures of the other planets gives a rough idea of the distance they are from the Sun in relation to Mercury. Giving an idea of space without using Earth-centric measurements such as meters or miles. But the most interesting part is probably the radial map that dominates the plaque, the part that will tell extraterrestrial life where our solar system lies in the Milky Way galaxy. Each line of binary represents the direction and distance to a stationary object elsewhere in the galaxy: a pulsar. "A pulsar is a remnant of a supernova explosion which spins very rapidly and as a result sends out very uniformly spaced and timed pulses of radio emission. And the pulsar's pulsing frequency is shown in binary arithmetic which is the simplest number system to provide time and length information. So this was a way by which the extraterrestrials, even after millions of years could recognize which object was being described by its pulsing frequency." 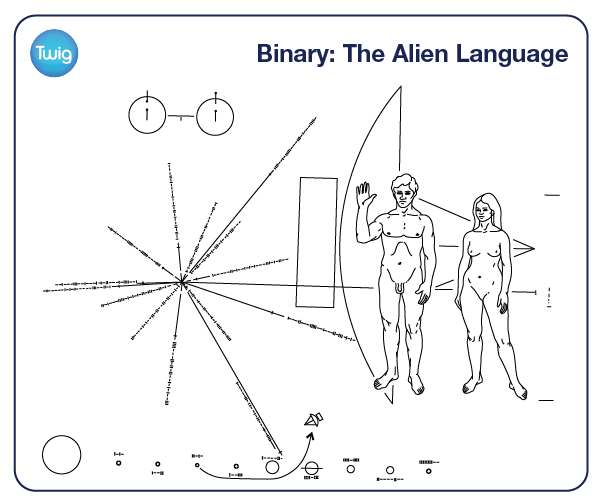 It may look like a relatively simple piece of mathematical art but the pioneer plaque could provide extraterrestrial life with information about where we come from and how to find us!